above. Why? because at lower levels, you can easily get most of the best relics around your level through battling other clans. Plus, You can't really feel the power of the relics until level 25 and above. Spend your Karmas on leveling your ninjas instead. can also be good addition to your relic set. Spending Karma for relics is not recommended except for relics that gives Karma per day. combos on them. Train until Lvl 18 to unlock the Undead Horde riding on a black blimp around your island. Higher number of undead kills means that your current relic combo is a better one. Experiment with your relics and try to get the highest number of kills on your current level. retire and it will be removed from the list forever. Bought relics on the other hand will never disappear unless you sell them. - Gold Won - Increases Gold won by a percentage. - Experience Gain - Increases Experience gained by a percentage. for the best relics compatible with their clan (hehehe). Anyway, these are just recommendations and feel free to share yours too! set will not benefit you, so you have to make a different relic set because of the Armor cap. 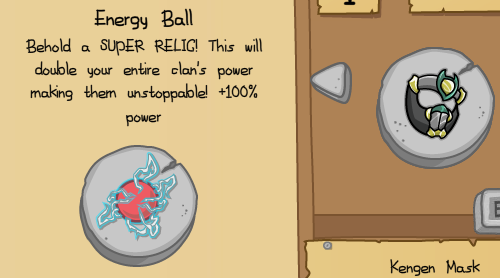 - Energy Ball: A SUPER RELIC that doubles your entire clan's power! (+100% Power). per ninja, +15 Agility, +25% Health and +10% Critical. 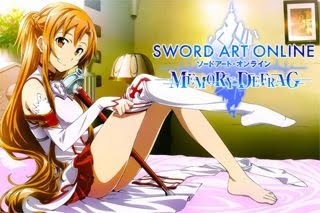 - For Fighting Zombies, just swap Keifer Challenge with Wings of Yami (80% AtkSpd). - Black Flame Orb NEW! Notable differences between the two sets.